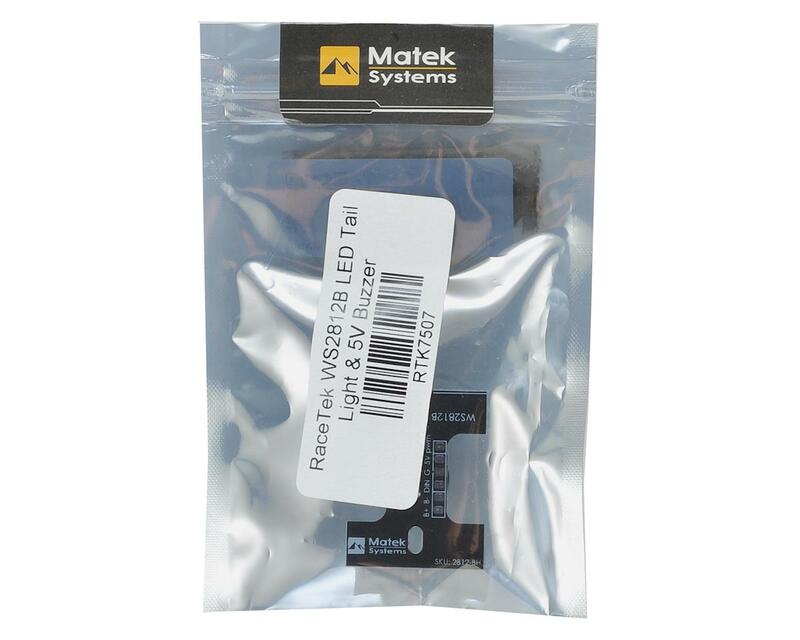 The Racetek Matek Tail Light & Buzzer is a great gadget for drone pilots looking to add some LED's and also safety features on their next build! The device can be set up to be controlled by flightcontroller firmware (Betaflight, Raceflight, Cleanflight), or simply via the transmitter. TX Mode: LED 7 colors (White, Red, Green, Blue, Yellow, Magenta, Cyan). 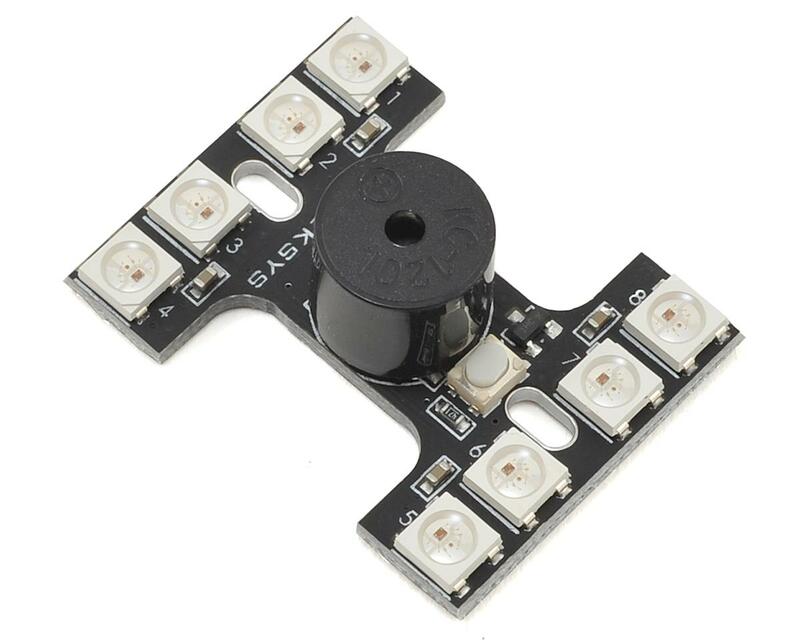 LED 5 Status (Constant Light, Slow Blink, Fast Blink, Violent Blink). Buzzer can be used as a lost plane finder. FC Mode: Compatible with Betaflight, Raceflight, & Cleanflight Firmwares.